Can fuel cell electric buses meet the real-world demands of transit routes? There’s no doubt that frequency and reliability are the cornerstones of an effective transit system. Whether during summer or winter, on or off peak-hours, transit must meet the needs of its ridership with long duty cycles up to 16 or 18 hours per day. Also, a new constraint is rising; regulatory bodies (and the reality of climate change) demand transit operators include, and increase zero-emission buses in their fleets. What’s the best way to address these realities? The other electric bus—the fuel cell electric bus—completely resolves these challenges. But how reliable are fuel cell systems in real-world use? How do they perform when driving challenging routes day after day, in all weather conditions? These are important questions. Let’s look at how specific fuel cell design ensures system durability and performance throughout product life time, without compromising vehicle performance. For over ten years, the Ballard FCveloCity fuel cell stack has undergone continual R&D. This has lead to steady improvement in every aspect of the fuel cell system - leading to over 95% fuel cell power availability in passenger service operations. optimum performance across a wide temperature and elevation range. Therefore, even in the most extreme climates and conditions, it operates over a range of duty cycles, without compromise in bus performance. Some manufacturers design fuel cells and fuel cell systems for automotive use, and then try to apply those same designs to heavy-duty applications. However, we've found that this approach is much less reliable than modules that are purpose-built for heavy-duty vehicles. The FCveloCity module is purpose-built to perform in the extremely demanding drive cycle of heavy-duty commercial vehicles. Today, the FCveloCity module powers more than 75 transit buses operating in jurisdictions from California to Europe to China. The buses drive in a variety of climates, altitudes, and usage cycles. They have demonstrated remarkable performance and durability. Their range and operational adaptability means they can directly replace diesel/CNG buses on even the most demanding routes. 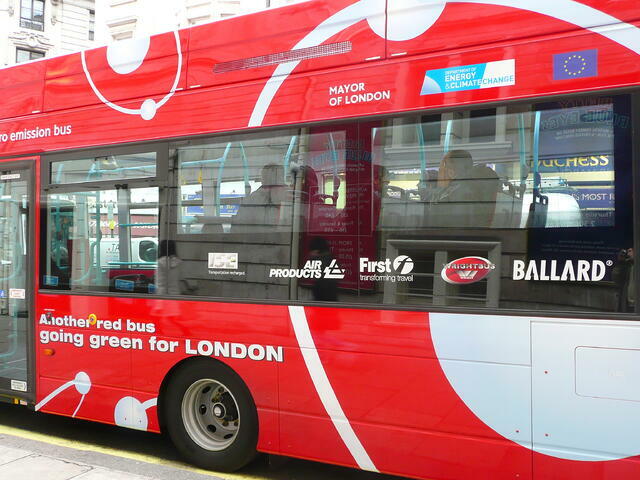 In 2017, a FCveloCity-powered fuel cell electric bus in the Transport for London fleet reached 25,000 hours of revenue service. This was achieved with no replacement or refurbishing of the fuel cell stack—a world record for durability. To date, Ballard-powered fuel cell electric buses have traveled over 12 million kilometres (7.5 million miles) in revenue service globally. This is equal to circling the globe 300 times! A service interval of 28,000 hours is no accident - it’s the direct result of years of research, testing, and product improvements. 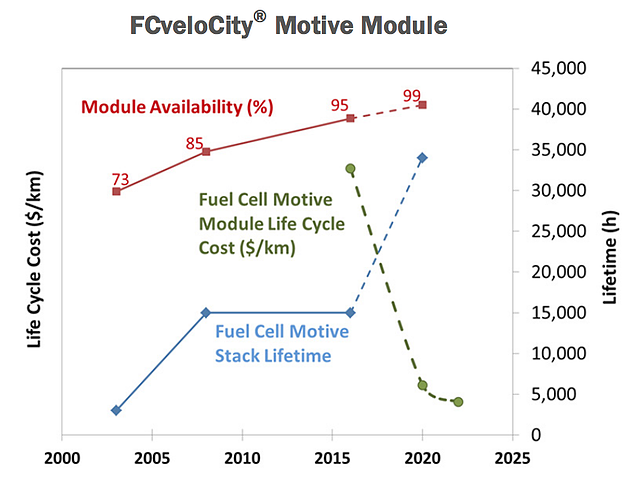 So, how can FCveloCity modules maintain stable operation within varied usage cycles and environments? We’ve proven that higher internal pressure increases system efficiencies and improves reliability. The modules' integrated humidification system ensures the fuel cell system recaptures and reintroduces product water - allowing for a higher, optimized operating pressure. The humidifier, combined with higher operating pressure, results in a more uniform relative humidity across the fuel cell membrane. This puts less stress on the membrane and results in an extended service life of the entire fuel cell. 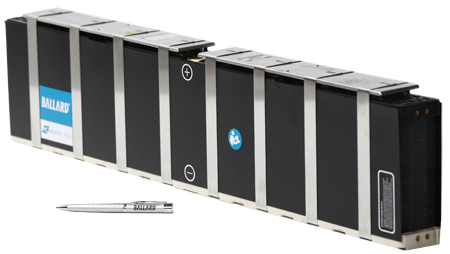 Over the last 17 years, Ballard’s service department has continually gathered data, monitoring the performance of Ballard-powered fuel cell electric buses. The buses work in various climates, on various routes, and with different load profiles. By analyzing this real-world data, we are able to make manufacturing improvements which increase performance. We also use it to improve our designs for the next generation of fuel cell products. Working with the data in this way means our fuel cell design is leading edge and built to meet the real-world demands of transit agencies. The data is clear. Fuel cell electric buses powered by Ballard’s FCveloCity fuel cells are a proven solution for transit agencies seeking zero-emission transit. Ballard’s purpose-built designs mean the fuel cells are built specifically for heavy-duty vehicles. The integrated humidification system reduces stress on the fuel cells, improving their durability and extending lifetime. The result is buses that meet both the demands of the public, and the real-world needs of transit agencies. Our ongoing commitment to excellence, combined with our market-leading technology, delivers the performance the world needs to transition to a cleaner, zero-emission future.